We meet the 2nd and 4th Sunday of each month from 5:00 – 7:00 PM at the New Life Church campus at 365 Staring Lane, Baton Rouge, Louisiana. NOT MEETING AT THIS TIME! The Jesus we know from scripture is the same Jesus we know today. He healed in the first century and he heals today. In our healing rooms we strive to provide a loving, safe, confidential environment where you can come to receive healing prayer. Some are healed instantly by a miraculous touch from God. Others receive their healing progressively over a period of days, weeks or months. We are committed to pray for you as many times as it takes over the weeks/months, contending for your healing until you are completely well!… We minister salvation, physical healing and emotional healing to the complete person (spirit, soul and body). We love to give words of encouragement too! The New Life Healing Rooms team consists of Christians from different denominations in the Baton Rouge, Louisiana area. An atmosphere of love, excitement and unity permeates the team. As we assemble in small groups of two or three to pray for the sick, the Holy Spirit flows through us as a team. There is only one “super-star” in our midst: Jesus! It’s about His Presence. 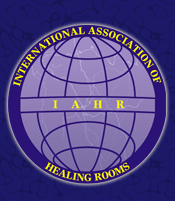 We are affiliated with the International Association of Healing Rooms in Spokane, Washington. To bind up the brokenhearted (shattered heart), proclaim freedom for the captives, release from darkness for the prisoners, to proclaim the year of the LORD’s favor and the day of vengeance of our God, to comfort all who mourn, and provide for those who grieve, to bestow on people a crown of beauty instead of ashes, the oil of gladness instead of mourning, and a garment of praise; to bring healing to the sick.